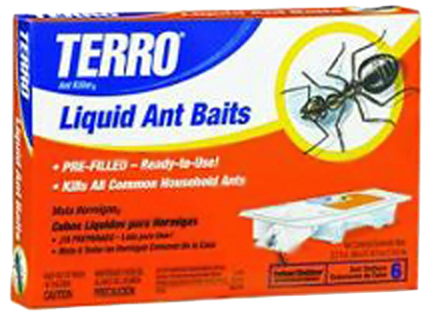 Pre-filled, ready-to-use liquid ant bait. No drops, spills or mess. For control of sweet-eating ants. Ants carry killer back to the nest where it destroys the entire colony. 6 baits in a box.